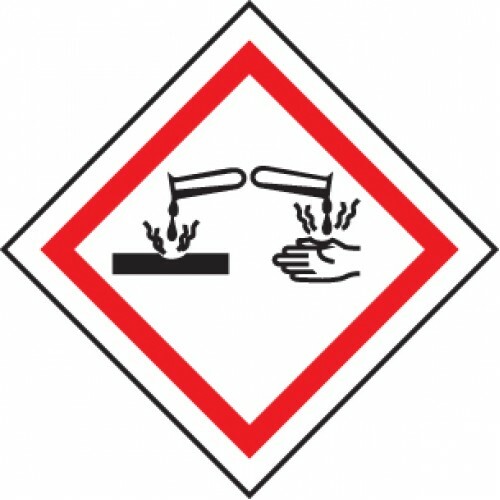 A corrosive substance is any substance that will dissolve or damage other materials/substances when it comes in contact. 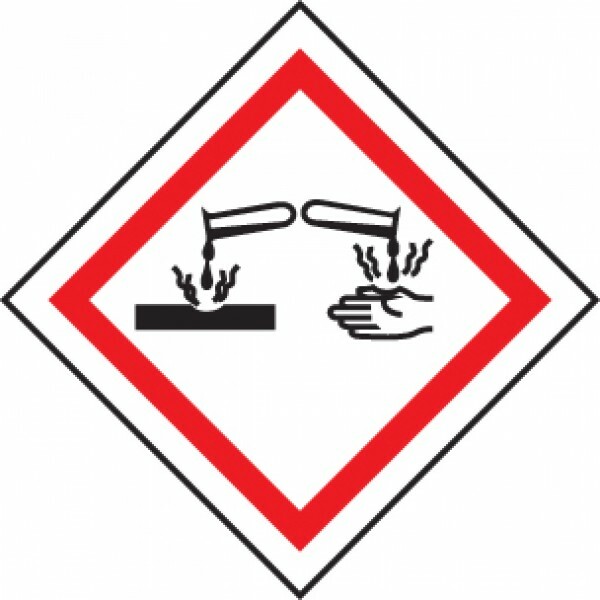 Corrosive materials cause chemical burns, a distinct type of tissue damage. Ensuring corrosive materials are labeled and signed ensures they are properly stored and can protect from chemical burns. 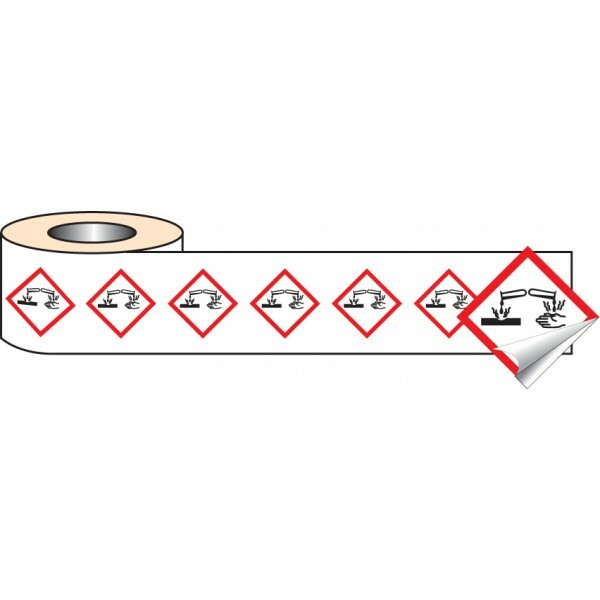 GHS is the new Globally Harmonized System of classification and labeling of chemicals. GHS came into effect in 2015 and gradually phased out the existing orange and black CHIP regulation by 2017.